Description: Join Dr. Lamar as he sits down with chiropractic missionary and humanitarian Dr. Peter Morgan, whose mission in life was clarified following the devastating September 11, 2001 attacks: to bring chiropractic to the world through mission trips as a humanitarian. Since then he has been rolling up his sleeves leading like-minded chiropractors to bring chiropractic care to the far corners of the earth. Recorded On Location at the Fall 2010 New Beginnings Chiropractic Weekend in Long Branch, New Jersey following his inaugural World Chiropractic Humanitarian Forum. [Dr. Gary Deutchman: Hello! This is Dr. Gary Deutchman from the Scoliosis Care Foundation and Scoliosis Systems. You’re listening to SpinalCoulmnRadio.com]. Coming up next on Spinal Column Radio, An Interview with Chiropractic Missionary, Dr. Peter Morgan. [Dr. Peter Morgan: So, many times there are a priest there that work in the church, or pastors or ministers, and they are actually praying for their people while we’re delivering the chiropractic adjustment and frequently we see miracles. It’s a… it’s amazing! People get up and you know, describe a miracle. Well, if you’re catching this podcast on its release date, today is Christmas Eve 2010, and I want to wish each and everyone of our listeners a very Merry Christmas. And for today’s episode, it seemed fitting to play an interview from my Fall 2010 New Beginnings Chiropractic Weekend collection about a New York chiropractor who not only has a brick and mortar office in the Red Apple, but whose true heart and passion extends far beyond these walls… whose true heart and passion is about bringing chiropractors and chiropracTIC to the far corners of the earth! Dr. Thomas Lamar: Well, joining me on Spinal Column Radio, as we continue to podcast from the New Beginnings Chiropractic Weekends here on the shores of New Jersey, is a chiropractor that I am really very excited to interview. He is a chiropractor that I’ve known of, but didn’t think I’d ever meet him. His name is Dr. Peter Morgan and if that name sounds familiar it’s because we talked about him in a previous podcast. We’ll talk about that in a second. He is a New York Chiropractic College graduate — 1985 was the year that he graduated. He’s in private practice in New York City, but he is not limited to New York City because his heart and his passion is in serving the world through chiropractic care. Dr. Morgan, welcome to Spinal Column Radio. Dr. Peter Morgan: Thank you very much for having me. Dr. L: Like I said, it is a treat to have you on… and we have talked about you. And if you were to do a Google search on Peter Morgan, I guarantee you that Spinal Column Radio would come up somewhere… and it is because Dr. Rennie Statler was on our program –that would have been Episode 11 and 12. It was a 2 part series called “Lending a Healing Hand in Haiti,” and I saw Dr. Statler’s article that he basically wrote shortly after his experience of going down to Haiti with a missionary team — and it was your missionary team that you headed up — to go down there to deliver food and water and chiropractic care to this hurting nation just literally days after the earthquake rocked Port au Prince. It was January 12, 2010. You were in that team basically. Dr. M: … but that’s what happens. Dr. L: … and we are going to hopefully get him back on the show, but he has also been on our show. And I interviewed him about the Ground Zero experience and that was one of the things that Logan and I… we went to the Statue of Liberty, before we came to New Beginnings, and we went to Ground Zero. Dr. M: Well, I’ll tell you at the time I was the Vice President of the New York Chiropractic Council and thereafter I became President of that organization and I had been practicing in New York in New York City and when that terrible tragedy happened we were… my job was to mobilize chiropractors from all over the world. We’d started working with the Red Cross. We were actually the first organization in chiropractic to ever work with the Red Cross and we mobilized chiropractors from all over the world. It was a very difficult task, but from that I realized, you know, my mission in life and my mission is to deliver chiropractic around the world, but to do it in a different way then most people do it. And that is from a humanitarian point of view. So, in the council, the New York Chiropractic Council, which I am still a board member of, we have… We go to soup kitchens. We go to HIV clinics. We go to… we go to drug rehab centers. We go to places where people have been released from prison on work release and we give our humanitarian services through chiropractic care. And in that I started doing chiropractic mission work around around the world and I started an organization called Mission Chiropractic where I lead groups of people to third world countries primarily. Last year was an interesting year, in the year 2009. I went to countries where most Americans would never go. I went to Cuba. I lead a mission trip to Cuba. I lead a mission trip to Venezuela, Trinidad, and Tobago. And then this year was even beyond that because on January 1st… My team of chiropractors landed in Haiti January 1, 2010, and we stayed in Haiti until January 10 and we arrived home on January 11 and on January 12 there was a tremendous earthquake… probably the largest, devastating earthquake in the history of mankind because it took 350,000 lives and it made 1,500,000 people homeless. So, when I returned and the next morning was alerted to the earthquake, the only thought process in my mind was that I got to get back there. At first, God gave me a gift besides the blessed hands of chiropractic is that I have a navigational system in my head. In any country… I can go to a brand new country and I always know where I’m going. I know North, South, East, and West. So I knew the terrain, the difficult terrain that it would take to go from Santo Domingo 12 hours to Port au Prince because I’ve already down that trip a number of times. So, in that next day everybody in the world was advising me not to go, but I had it in my mind that I was going. My family was devastated. My wife was hysterical. My kids were urging me not to go because CNN was showing things of destruction and there was aftershocks still happening. But I was persistent. I got a group… I put an email out to thousands of chiropractors and I got a group of about 15 people, Rennie Statler being one. And I also had been working with water filtration systems. I contacted those companies and they volunteered to deliver us water filtration systems at no cost. And what we did is we jumped on a plane, we got to Santo Domingo, we rented 4 huge SUVs, we filled them up with food and water, and we drove the 10 to 12 hours over the terrain into Haiti. And in going across the border into Haiti is the most difficult thing you could ever imagine before the earthquake on a normal day. 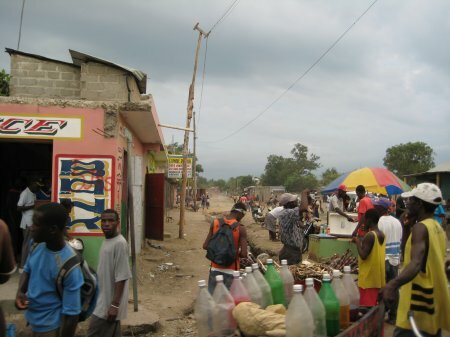 Haiti is the most difficult country in the world to go before the earthquake. It’s been rated… There is a rating for the most corrupt countries in the world, New Zealand being the safest and least corrupt country on one end of the spectrum and Somalia where they hijack boats that drive by the country as being as the first. And Haiti falls as the second most corrupt country and the second most dangerous country and the second most poverish country and it’s only 3 hours from New York by plane when the airport is open. After the earthquake, the airport was closed because the earthquake happened in downtown Port au Prince. Dr. M: So, we take this journey through the passage and we get there and basically what we did is we delivered food, water, and chiropractic adjustments to people that waited in line all day from the morning to night delivering food, water, and chiropractic care. Dr. L: It’s just an amazing story and I remember Rennie talking about how you guys would drive around. You would set up a camp or you’d look for those tent cities, excuse me, and then you would find a clearing and then you’d set up. And one person would come and was brave enough to get down on the table. You’d do an adjustment, they would get up and they would shout something in Creole and all of a sudden you guys just had throngs of people, just almost mobbing you to get an adjustment. Dr. L: Yeah, let’s hear the continuation. Dr. L: Wasn’t the goal to always have somebody down there? Dr. M: The goal… it was definitely to always have someone down there and so we had… I went on 4 more mission trips to Haiti since that time but I’ve had 7 mission trips to Haiti where I’ve actually been able to send people without me there. What we did is we left 2 chiropractic tables down there. We started a chiropractic orphanage where we have children that we’ve donated money so that they have food, water, and shelter and chiropractic car for the next year. It only lasted about a year because we only had enough money to do it for about a year. So, we have facilities right there. If anybody ever wanted to go on a mission trip to Haiti they just have to, you know, call me, write me, text me, email me, whatever. And I can have people going to Haiti and doing this work at any time. But, I would have to tell you this: that there is no country like Haiti. You have to be… you have to have no fear to go to that country. It’s not a very safe country. Kidnappings are common and it’s, you know… You really have to be directed by God to go on there. I wouldn’t recommend Haiti as your first mission trip. I would really prefer someone to go on a few different missions before they go to Haiti. It’s that dangerous. Dr. L: Wow. Let’s talk about something else. You said to me, before we went on, you said that you hold a World Record. Tell me about that… related to missions. What is it? Dr. M: Well, we had a really fantastic experience in the Dominican Republic, where we do our mission work in the Dominican Republic. And our program, our mission work started to grow and grow. It started with just me and 3 other guys going and then the next trip we had 7 people and the next trip we had 15 people. But, I gave a talk here at New Beginnings. It kind of started from New Beginnings where we were really went into large numbers of people. A lot of people wanted to come with us. So, we had this one trip where we had 106 people, volunteers, chiropractors, chiropractic students, wives, lay people, but 106 people in total. And we knew it was going to be a big trip, so we decided to make… to see if this could be the largest mission trip ever on record. And we knew there was trips that saw 100,000 people but no one ever had a record established with the World Record book. So, on this trip it became very difficult because the large number of volunteers, 106, is difficult to manage especially in third world countries but beyond that, to get the record, we had to have everybody sign sheets and we had to have photographs and pictures of where we were. So, and we had to have a team from the World Record book come down and visualize it for their own selves. So, it was a tough record. We actually saw 56,000 people in those 4 days but only 22,000 were documented. So, the 22,000 is the record but the 56,000 is the real number. Dr. M: Yeah, pretty incredible. Dr. L: That’s a lot of… If you do the division there, chiropractors are seeing thousands of people a piece. Dr. M: And you know what’s really interesting is that we go there and we do a number of things. We do Scoliosis screenings, as you know Gary Deutchman set up a program on how to evaluate Scoliosis to see if a child has Scoliosis. So, we do… I’m on the board of his foundation, by the way. Dr. M: And we do Scoliosis screenings. We teach “Straighten Up America” and we do a number of things we always tell people about chiropractic and what chiropractic is in large group settings of 50 or 75 people at a time and then those people will get adjusted or will get checked and then they’ll get adjusted. And so everyone is given the story of chiropractic before they get adjusted and we normally do at these mission trips in churches because those are the vehicles… they bring all of their people, their community. So, many times there are a priest there that work in the church, or pastors or ministers, and they are actually praying for their people while we’re delivering the chiropractic adjustment and frequently we see miracles. It’s a… it’s amazing! People get up and you know, describe a miracle. Dr. L: I don’t doubt that for a minute. That’s fantastic! Liam Schubel was on our show earlier today and he’ll be on the podcast if you want to look for that. But, he has two practices in the Dominican Republic. Is that related to you? Dr. M: Yes. Well, my vision on the mission trips is that we don’t want to just go there once and… or twice, twice a year. Which we have been averaging, to the Dominican Republic, two times a year. And we want to have a chiropractic presence there so that people can have access to this remarkable healing art that we have that these people don’t have access to that. My initial mission… my vision was that we would bring back students so that they could come to chiropractic school and go back to their countries and serve them. I haven’t figured that out yet because the people are very poor. They don’t have the money and… no scholarships at this point yet. So, what we decided to do was that we were going to go there and open up chiropractic offices and have very very reasonable fees. Now, Liam has been doing mission trips to Peru for many years and from that he now has 11 offices throughout Peru that basically are like that. We have offices in these countries that don’t have chiropractic and that’s one of the things that we wanted to do is bring chiropractic around the world by starting… going to a country that doesn’t have any chiropractic and doing a mission trip and then leaving behind chiropractors. Dr. L: So, are you saying that your 2 offices in the Dominican Republic… there’s no competition? Dr. M: No. There’s no competition. Dr. M: There’s no licensing. Dr. L: Your 2 offices are basically the competition. Dr. L: That will be exciting to see that come to fruition. Dr. M: And by the way, the two offices that we have now were goaled. The last New Beginnings is when I first met Liam and we sat down in a room very… right near here and we made the goals to have chiropractic offices in the Dominican Republic. And by the next New Beginnings, we had two. Dr. L: Wow. I love that story! Well, we are here at New Beginnings Chiropractic Weekends and you headed up a special forum today, the World Chiropractic Humanitarian Forum. Tell us a little bit about that and how did it go? Dr. M: Well, there’s many people doing chiropractic humanitarian wok around the world. Right here in our own communities, people are going to soup kitchens. People are going to homeless shelters. People are going to AIDs clinics. People are going in a number of different venues doing humanitarian work. There are many people doing what we’ve done with our mission work to Haiti and the Dominican Republic and other countries I’ve mentioned. But there are other people who are going to Africa, to Tibet, to China, to all over the world and we’re really doing an unbelievable service to human kind and I want to show the United Nations what we are doing from humanitarian perspectives. So, Tim Marek has been appointed the First Representative to the United Nations Department of Information to explain to the United Nations what chiropractic is all about. Now when I heard that he was appointed to that I immediately said “I want to have a position like that.” And I contacted him and I became the Second Representative to the United Nations. So, it’s so easy to get involved in any of this work. All you have to do is say, “I want to do it,” and then do it. And so I put together a program of organizing all the humanitarian efforts together and we met for the first time in this very New Beginnings convention seminar here and now we are creating a Congress of Humanitarians that we are going to focus all our efforts so that we can get scholarships for people who are in different countries. Like I told you before, our vision was to bring those people back here to learn chiropractic. Dr. M: So, we’re developing that vehicle now so that we can bring people from Haiti, from the Dominican Republic, from whatever country they are and the goal is to get them here to learn chiropractic. They can go back to their own country to deliver chiropractic to their own people. Dr. L: That’s a fantastic goal! And then I guess the next goal would be to create a chiropractic college down there one day. Dr. M: You know, I already wrote the curriculum. Dr. M: I already wrote the curriculum. I wrote my vision for the humanitarian forum many years ago, but it didn’t fall into place until the last couple of months. You know, I had the vision of it, but I didn’t have certain components down like I didn’t know the United Nations. But once I found out that Tim Marek got appointed to for chiropractic’s representative then I knew all I had to do was plug in that last missing aspect. And I had forgotten about this. I just wrote it on my computer years ago and I just forgot about it until the day Tim Marek got appointed. It hit home like that. And that was about 4 months ago and now we have the forum. Dr. L: I have no doubt that your goals will continue to be met as you guys just move forward through this process. People listening at home that are not chiropractors, chiropractors listening or viewing this on Youtube… How can people get connected to help with… to get behind you? Dr. M: Well, it’s really easy. I have a website. I have an email address. I have a cell phone number. Dr. L: Why don’t you give out your website and your email? Dr. M: They’ll see my cell phone! Dr. M: So, because you know what? I’ll take everybody’s phone call. Dr. L: All right. Let it out. Dr. M: So, my website is www.missionlifeinternational.com. You can also get to it by www.mission-chiropractic or you can get to it by www.chiromissions.org but Mission Life International is an easy name to remember. I just plug that in. Dr. L: Ok. So, you’ve got a bunch of URLs there. Dr. L: We will go ahead and we will put the main one in the show notes for this particular episode. So, if anybody is driving in a car right now and they don’t have a chance to jot this down just know you can go to SpinalColumnRadio.com and you will see it. You will see a picture of Peter Morgan and myself and… Did you want to give your cell phone number out? Dr. L: Might have to give you a call. Ok. I want to thank you so much for taking time out here at the New Beginnings Chiropractic Conference to share your heart about serving mankind just, you know, in your backyard and beyond. Dr. L: I never thought of it that way but you are right. You know, podcasting is global and we have listeners literally around the world and it’s really… it’s quite humbling to tell you the truth. Dr. M: You’re apart of our vision and it’s just these things falling into place like with Tim Marek being apart of the United Nations. It’s just falling into place and the more things fall into place, the more there become people like me which is very easy to do, like you which is very easy to do. You just have to have the calling to do it and you had the calling to be this producer of this radio show. And that’s a fantastic thing and thank you for delivering chiropractic to the world because you are doing it. Dr. L: Well, thank you so much and if I can help out in any way through this podcast, by all means. We can hook up via Skype or telephone and do another interview if we have… if there’s something that you need to bring to our attention. Dr. M: Great. Thank you very much. 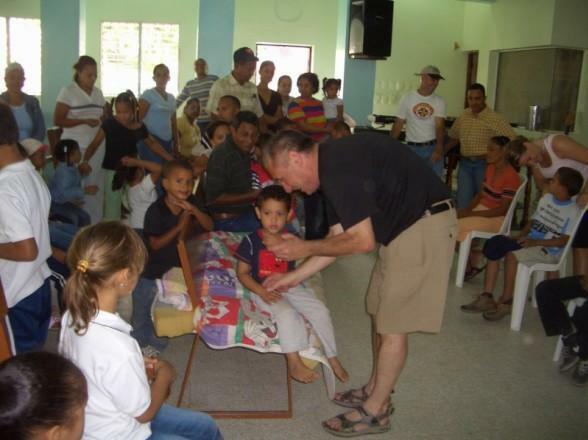 Dr. Peter Morgan … what a Chiropractic Humanitarian! To learn more about Dr. Morgan and Mission Life International check out his website at MissionLifeInternational.com…. we have links in this episode’s show notes to help you out. Next time on Spinal Column Radio, it’s New Year’s Eve, and I thought we’d end 2010 with a fun and wild interview with unmatchable Dr. Billy DeMoss…. a chiropractor who’s crazy about about chiropractic! That’s next week. So, until then, for my son Logan, tweaking the knobs on the mixer board, this is Dr. Thomas Lamar, your podcast chiropractor. I have been enjoying your podcast for the past year. As an avid listener to podcasts I have tried most of the chiropractic ones and yours is by far the best and most useful for both Chiropractors and the public. I have especially been enjoying all of the interviews lately. I have recently returned (about 2 days ago) from the Chiropractic mission trip to the Dominican Republic organized by Dr. Peter Morgan. I listened to your interview with him just days before I left. 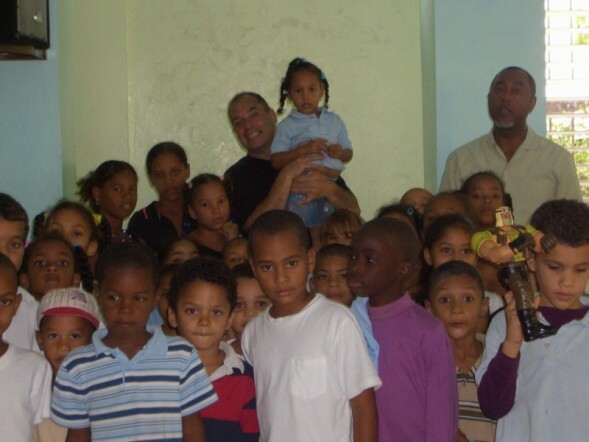 I am starting my 2nd year of practice and this was my first Chiropractic mission trip. It was truly life changing and something I think more students and Chiropractors should experience at least once. I am wondering if you are interested in doing an interview with me about my experience and help me spread the word about these mission trips. I think it might be good to hear from someone other than one of the organizers and a first timer and new doctor as well. If not, I understand. Either way, keep up the GREAT podcasting and I will continue to listen and tell others about you as well. Take care. PS – I listen from iTunes on my iPhone. Thank you so much for the encouraging comments! I’d love to feature you on one of my podcasts. I did something similar to with the Haiti Earthquake Disaster when I interviewed Dr. Renie Statler (Episodes 11 and 12). I’d love to ask you questions about your experience in the Dominican Republic as I am sure it will be of interest to many and might even inspire other chiropractors to do the same. I will contact you to set something up.